My eBooks are out now on Kindle! I mainly write memoir and poetry, and dabble in how-to guides and fiction. If you are subscribed to Kindle Unlimited, you can borrow them for free. If you would prefer to buy your own copy, the links are below. In the meantime you can sample them on Kindle and add them to your Good Reads lists. Enjoy, tell me if you relate, and don’t forget to review them. Your reviews change Kindle’s algorithms, allowing eBooks to be shown to more people. If you would like to keep updated on my writing, you can join my eMail list. The build-up. The sudden crash. The effects. The recovery. 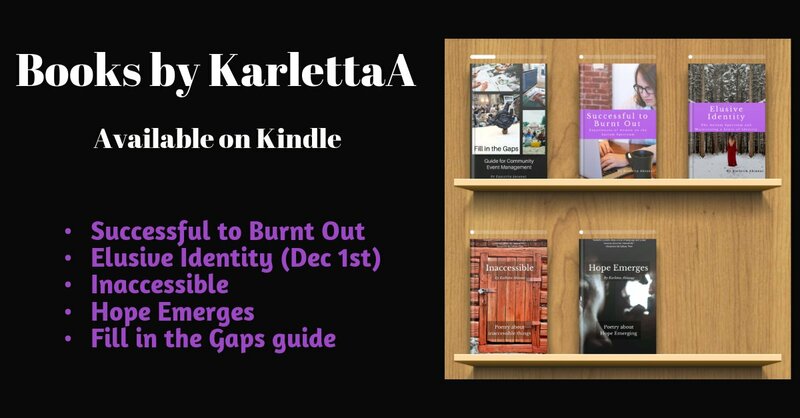 This memoir recounts how Karletta and four other successful women are recovering from burnout. Karletta didn’t know why life became exponentially harder. Follow her as she discovers her limitations and finally put names to them. Anxiety. Depression. Autism. Successful to Burnt Out is the first memoir in the ‘I’ve been there too Darl’ series. Masking. Blindly trusting. Losing a sense of self. Creating an Identity. Karletta finds herself without a sense of self at times. It can launch a new way of experiencing life. Get an insiders view of the joys and reasons for recreating an identity from scratch. This is a memoir about having an elusive self-identity and recreating a sense of self. 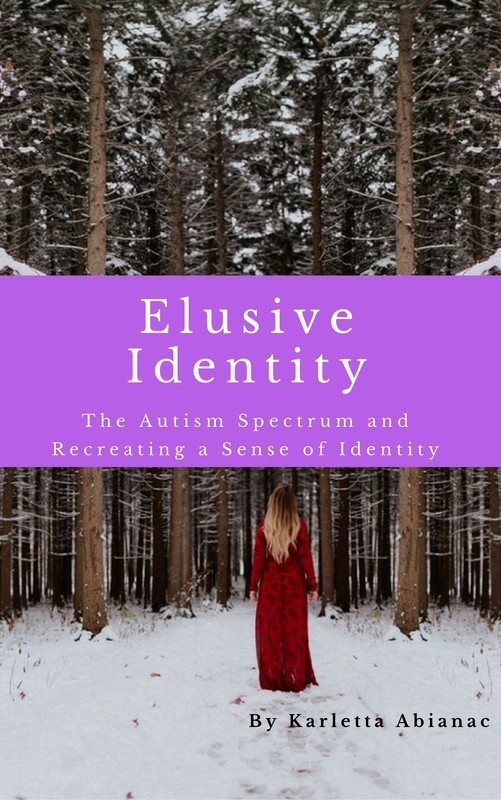 Elusive Identity is the second book in the ‘I’ve been there too Darl’ Autism memoir series. A chapbook collection featuring poems on self-identity, relationships, and mental health, and how they sometimes feel inaccessible to me. This chapbook anthology, or collection of poems, is about a sense of hope emerging. Hope in my abilities, in my future and in being able to finish what I start. The poetry themes run through hope lost, to the power of committing to things, and finally reaping the rewards. Respite into feeling hopeful and content. This guide is full of templates to help you plan, execute and review a community event.